though most gadgets lover would prefer the ‘classic’ black and/or silver look for their gadgets, there are a handful out there with Scrooge McDuckian level of wealth who still prefers to showoff their gadgets in the ultimate opulent style (it’s a tradition, ain’t it?). 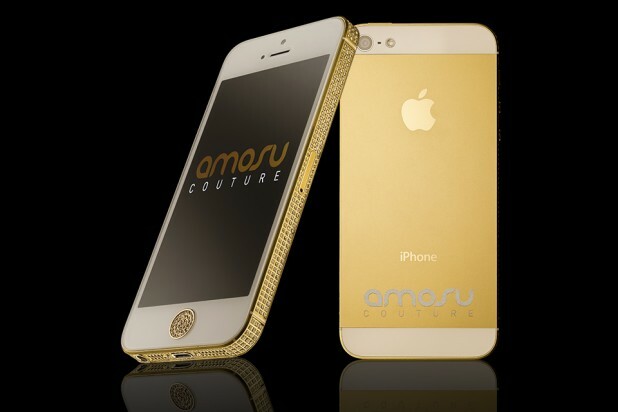 if you belongs to that McDuck circle (and we want to be your friends) then the Gold Swarovski iPhone 5 by Amosu Couture might be worthy of your consideration – unless, you think £3,599 (roughly US$5,770) is far too cheap for you too even to bother about. 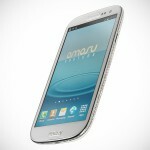 anyway, in a typical Amosu fashion, this 64GB model from the world’s most famous ‘fruit’ company is given a 24ct. 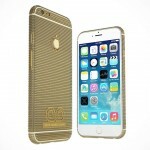 mirror gold finish along with approximately 600 Swarovski Crystallized elements embellishing its sides as well as the home button. 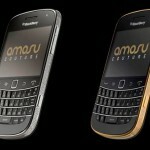 and for that obscene amount of money, you be glad to know that Amosu Couture is throwing in a complimentary genuine calf leather protective case, worth £200, in the color of your choice to protect your prize possession. 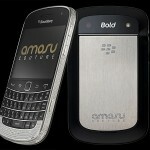 however, if you already own an iPhone 5, you can send it in to be blinged, Amosu-style for just £2,599.